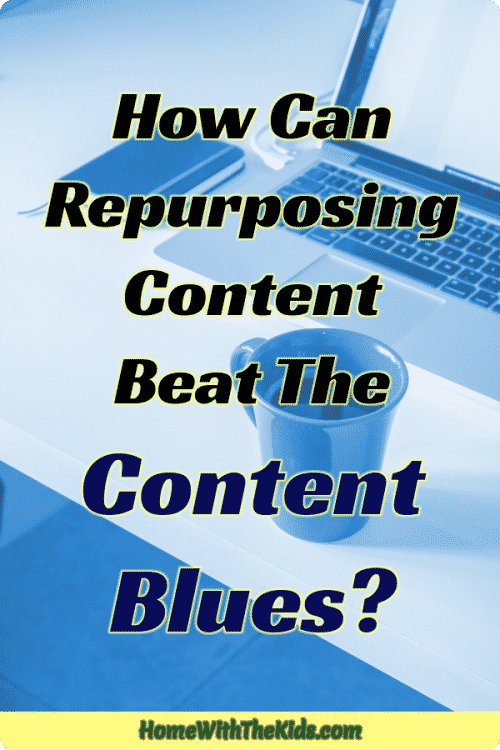 How Can Repurposing Content Beat The Content Blues? Creating content for your online business is challenging. It’s hard to come up with new ideas day after day. You get clobbered by the content blues and struggle to come up with new ideas. Why can’t you come up with any new ideas? Have you thought about repurposing content you’ve already created? I don’t mean rewriting the same article over and over again. It’s already hard enough to avoid that trap when you’ve been working on a topic for a while. New blog post ideas are hard to come by. You can easily forget some of what you’ve written in the past and write something new that is very similar. But writing content isn’t the only game in town. You can repurpose content you’ve already created for use in marketing your site. Repurposing your content can do great things for your blog. It’s also easier than coming up with something new every time you start to work. Repurpose your content by creating different versions of it to use in different places. You don’t want to put exactly the same content all over the internet, of course. Each version should be targeted to the audience of the site your content is placed on. This has a lot of benefits. SEO benefits – You can build links from other sites with repurposed content. Authority benefits – The more people see your name and content on other websites, the more likely they are to view you as an authority. New audiences – Getting your work out there in new places means new people will see your content. They probably wouldn’t have found you otherwise. Be picky about the content you repurpose. Not everything you put on your blog will be suitable. What you’re looking for is content that performed well already. The posts that got a lot of traffic, comments, and/or social media response. Look for anything that shows you did a particularly good job on that piece of content. If it’s seasonal, the big question you need to ask yourself is if you can repurpose it in time for that season. It takes time to repurpose content. That great piece you did for Christmas that everyone loved isn’t going to perform well at other times of the year. You may be better off putting a note in your calendar to see about reviving it before next Christmas. Check your Google Analytics to see which posts got the most traffic in the past month. Odds are that you can repurpose some of those posts into something new. If you have Tailwind, you can also check the analytics there to see what performed best for you on Pinterest. While this is also a function of the quality of your graphics, a pin that performs well is usually connected to good content. When you repurpose your old content, don’t leave it exactly as it was. Consider the target audience you’re now aiming at. Try to add a little something new. Some of your audience may interact with your content in more than one way – you don’t want to bore them with repetition. There are quite a few ways you can repurpose your blog content. Some are easier than others. While you don’t want to write the same blog post over and over, you can take some of the information from an old blog post, and come at it in a different way with a new blog post. For example, a “how to” post can inspire a “how not to” post. This could be approached seriously or with humor. You can also find a common theme within your best posts, and use that to create a list post that links them together. This could become a great resource all on it’s own. If you realize that there’s a point to be made that you haven’t covered yet, include it in the list, and write a separate blog post for it. Another thing to look for in your post is points that you can cover in more detail. Check the comments for things people wanted more information on. If you find that something has gone out of date in a blog post, you may be wiser to update that blog post rather than create a new post on that same subject, so long as the changes aren’t extreme. If they’re too significant, a post emphasizing how things have changed is a better choice. Some people love to learn by listening. It’s how they learn the best. You’ll need a microphone for your computer and some software such as Audacity to create it. There are many sites you can use to distribute your podcast. You can even share it on iTunes. The tricky part is coming up with information that’s long enough to be interesting. Just reading off an article would make for a very short podcast episode. While it’s possible that you could get away with super short podcast episode, you’ll probably do better if they’re longer. It takes practice to do a good podcast. You have to speak clearly and sound interesting. No one will listen if you’re droning on and on, or speaking so fast they can’t understand you. Sites such as YouTube are incredibly popular. They get millions of visitors looking for videos on all kinds of subjects. This is great since some people are very visual learners. But you don’t have to limit yourself to YouTube. Many social media sites, including Facebook and LinkedIn, allow users to post videos. If you have Windows, you can easily install a movie making app. There are a number of them in the Microsoft Store, from free to paid. Macs also have tools to help you make videos. You will need either a good webcam or a small digital camcorder if you want to be in your videos. There are a number of great options out there. Make sure the camera takes good quality high definition video and captures sound well. You can also use your smartphone if the camera is good enough. Most are, these days. You can, in essence, read your articles to make your videos if you like. I suggest having visual aids when possible. If you’d rather not be a talking head in the video, you can make them be a sort of slide presentation, or do a product demonstration without showing your face. You have plenty of options. When you’re feeling a little more creative on the design side of things, you can beat the content blues by creating an infographic out of a blog post. Infographics won’t work for every kind of blog post. Some things just aren’t suited to that. But if you can think of a way to share information in a visual form, it’s time to make an infographic out of it. You don’t have to be a great graphic designer to do this. You can use tools such as Vengage, Piktochart or Canva to create infographics. There are both free and paid tools available. Paid tools are generally more advanced, but you can make great infographics for free with some work. Infographics can be included as a part of your original post, of course. A great infographic is easy to read and allows your audience to grasp the information quickly. It’s not the place for long paragraphs of information. Neil Patel has some great tips on creating infographics. Google Drive has easy to use slideshow maker, and you can upload your creation directly to Slideshare. They have a variety of preformatted slides to choose from, or you can style it yourself. You can even upload your own background images. The information you put into your infographic is perfect for a slideshow. Work on these at the same time, and you can get them both done with less effort. Medium.com can be a good place to share some of your content. They even let you import blog posts. From there, you can edit it as desired or leave it in its original form. This tool leaves a link to your original post at the bottom. Medium has a solid audience, and if they like your content, this may drive visitors to your site. But they also allow you to connect to your Facebook and Twitter accounts, so that you can connect with the audiences you already have there. You can learn more about the advantages of publishing on Medium on Wordstream. Pick some of the most interesting parts of your post and use them as social media posts, including a link to the post. These can do a great job of driving more traffic to your post. For Twitter, the excerpt will be relatively short. Facebook gives you quite a bit more room. For some niches, LinkedIn can be a great place to share a part of your post. People don’t spend as much time on LinkedIn as they do on other social sites, so you need to consider if it’s the right site for you. Don’t limit your social posts by only linking to your content. Use them to drive discussion. That can bring in more people than would have seen your post otherwise. If you do a lot of marketing on Pinterest, try creating new images for posts that have done well there in the past. Pinterest loves new content. Don’t just use your blog post title for your images. Use a call to action or pull an interesting bit from your post to inspire the text you put on your pinnable images. On the whole, these will be far more interesting than simple blog post titles. I like to create a wide range of pinnable images for my content. While many people feel that light/white or minimalist images do best, I like to work with a variety of style. I like color. Testing a variety of styles will help you learn what works best for your audience. You can’t assume that what others say works best will be best for you. Quora is a question and answer site, and many marketers find that they can do really well on it. Seek out questions related to posts you’ve written, and use some of that information to answer the question, including a link back to the original post. Don’t skimp on the information you put directly on Quora – your answer won’t rank well if it’s not helpful right away. If you aren’t sure how much information to include in your answers, take some time to read what others have done. You’ll see that the most popular answers are highly informative. That’s what you should aim for. Use some of your most informative posts to create an online course in your niche. Add extra information to bring it to the next level. Your course should offer something more than people can get for free on your blog. You can sell your course on your site or use one of the many sites out there that sell your course for you. Udemy and Teachable are very popular. Guest posting can be a highly effective way to drive traffic to your website. And while most sites that accept guest posts want original content, you can use an existing post to get you started. Make sure your guest posts are different from your other posts. While you can use some of the same facts, you don’t want to repeat all of the same points. Come up with something new for each guest post. You can do a live stream based on your content. Live streaming is very popular, and you can leverage some of the followings you already have. Facebook Live, for example, is extremely popular. If you already have people following your blog on Facebook, they may be interested in seeing you go live. Just announce the time that you’ll do it so that people can plan to be there. Use your post as the basis for what you’re going to say, but don’t just read it off. Most blog posts don’t sound exactly like what you’d say out loud. Be ready to answer questions in the comments when you’re live too. The people watching you can come up with some interesting thoughts. They might even inspire future content. Isn’t This All Really Time Consuming? No matter how often people talk about online business and blogging being super easy, the simple truth is that most people really have to work at it. But that’s the great thing about repurposing your content – much of the hard work has already been done. All you have to do is freshen it up and put it in the right format for a new audience. One of the most challenging things to do when starting a blog is choosing the right name. There are so many possibilities out there, but a lot of them have been taken already. How do you go about choosing a blog name? Starting out with the right name for your blog really matters. Lots of bloggers end up rebranding after a time because they realize the name they first chose wasn’t a good choice. Maybe it doesn’t fit with what they’re doing or it’s too easy to confuse with another site. Whatever the reason, rebranding is a pain, and you’re better off getting your blog name right the first time. Someone beat you to it. Domain not available. Don’t be surprised if you go through a few names before picking one. I was lucky enough to have a lot of possibilities when I named my site, and while it’s probably not perfect, it has worked well enough for me. Choosing a blog name that reflects what your blog is about and who you are takes several steps. This process may also help you narrow down your niche so that your blog is more focused. Write down any blog names you come up with as you go through this process. Inspiration may strike several times for names, but they won’t all be good ideas. Still, you don’t want to lose that one great idea because you didn’t write it down. I’m going to give you a lot of information here. Don’t let it overwhelm you or keep you from picking a blog name. You don’t have to follow every step. Just take this advice as far as it helps you pick a name and forget the rest. Don’t let this process slow you down as you start your blog. Some people use their first or last name as a part of their blog name. It gives you the potential to make the blog more personal. Using your name can be great for branding. But it can also be too personal. You may not want your real name out there so easily. This is why many bloggers choose a pen name for themselves and use fake names or initials for their kids. It gives a little privacy while still allowing you to be personal. Many websites have done well with made up words. Think about Google, Twitter, and Pinterest. Choosing a blog name that is a made up word has some advantages. The disadvantage to made up words is that no one has any idea what to expect from you. The name gives no expectations. You have to build those completely from scratch. On the plus side, you have a better chance of finding your domain available if you make up a word. There’s no competition for it unless someone else had the same idea already. If you’re creative enough about it, that won’t be a problem. It can also be great for branding. What that word comes to mean will depend entirely on what you make of it. That can be powerful. What is your blog about? Have you given your blog topics enough thought? It’s easy to say that you’re going to create a general blog, one that covers a wide range of topics. You have so many interests you’d like to write about, and surely there are enough people with similar interests that you can make it work, can’t you? I would urge you to think carefully before choosing this option. Yes, I write on a pretty broad range of topics. They all relate to stay at home parenting, but it’s a broader topic than I would recommend in most cases. You may be smarter to tighten up your niche. There have been times when I have considered breaking this site into smaller topics. I even broke off the home business section into a new site for a time. But eventually I put it all back. Keeping up with multiple sites was too much trouble, and there was still overlap between what I wanted to do with each site. Write down all the topics you want to blog on within your niche. If you have a few niches to consider, use a page or column for each one so that you keep the ideas separate. One or more of these words may be something you want to use in your blog name. Others you absolutely won’t want to use. Cross the unusable ones out and think harder on the ones that have possibilities. Start thinking about who you hope to attract with your blog. Men, women, what age range, interests, education and so forth. Next, consider why you want them to come to your blog. Will your blog be informative or entertaining? Are you trying to make people laugh or make them think? Your blog title must work to attract your target audience. For example, if you’re creating a blog about parenting tips for dads, and you’re trying to keep it informative, which of these titles do you think will work? Which will keep your target audience away? What you may note about these is that some have the obvious “Dad” or “Father” keywords and others don’t. You don’t have to use keywords, although they can help. But sometimes it makes more sense on the marketing side of things to have an interesting name rather than one that is focused on the right keywords. Your blog name is about attracting your target audience. Pick the blog name you think will best attract readers, not just search engines. No matter your niche, there are probably a ton of other blogs on the same topic out there already. Read some of them, especially the ones that are doing well. What does this have to do with naming your blog, you ask? Reading what others have written in your same niche gives you more than just ideas for blog posts. Sometimes you can pull a blog name from it. It may not be obvious. You don’t want to copy their name, after all. But they may post something that triggers an idea for you. If you get an idea, write it down. Your long term goal in reading related blogs is to figure out how you can do better than they do. They’re the competition, after all. But in the early days when you’re learning, they’re great for inspiration, not only for naming your blog, but also for topics you will want to cover as you go. There are sites out there that will generate blog name ideas for you. 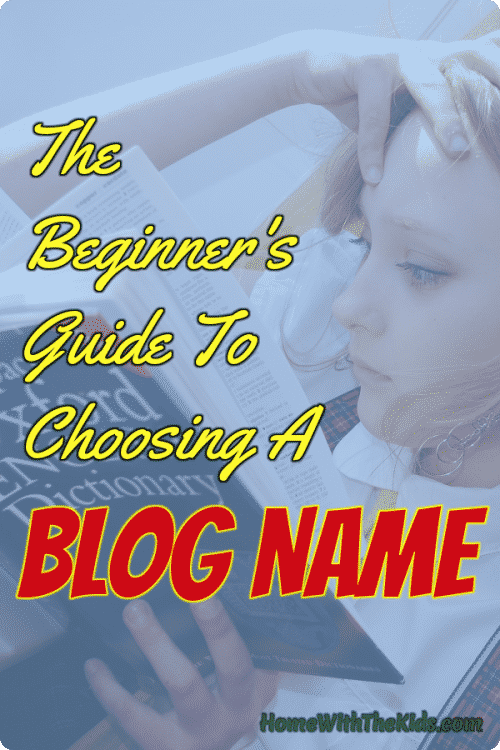 This can be incredibly helpful if you’re struggling with choosing a blog name. I would treat these blog name ideas the same as any you come up with on your own. Write them down and think about it a little. You don’t have to commit to the name in that instant. You might even combine a generated idea with ideas of your own. These generators will give you lots of ideas for blog names. Most won’t be what you’re after, but you might strike gold with the perfect name. You usually don’t want to buy your domain name from one of the generators. What’s available there is the same as is available anywhere. Besides, you need to give things a little more thought before you register your blog name. Now is the time to have some fun with the ideas you’ve come up with so far. Consider blending two ideas into a new idea. Spin one blog name idea into something entirely new. Write down all the ideas you get, good and bad. Even names you know you won’t use will sometimes trigger a better idea. Don’t follow just one blog name idea to the bitter end. Follow several ideas and see where they take you. Fall down the rabbit hole for a little while. Inspiration needs time to strike. Don’t hyphenate your blog name if you can help it. People hate typing hyphens. Using hyphens also means someone can have the unhyphenated version of your blog name. You don’t want that. The unhyphenated version of a domain is always more memorable. This is something you can do as you go but can wait until you have a bunch of ideas. There are a lot of good reasons to eliminate possible blog names. Start out with the ones you immediately don’t like. Some names can be eliminated because they won’t age well with your blog. If you’re starting a parenting blog, for example, referring to babies in the title may not be a good idea unless you plan to always focus on babies, regardless of the ages of your own children. A domain name can also be too limiting. It can imply that your niche is more limited than you want it to be. If your cooking blog name focuses on desserts, but you post recipes for all kinds of meals, you’ll confuse your readers. They may forgive you, but it’s not great for marketing. Others won’t work because someone else is already using something the same or too similar already. Check trademarks and available domain names. If the name you want is already in use, cross it off your list. If there are any potential legal issues with a name, cross it off your list. While dot coms are generally considered better domain names, people are getting more used to other extensions. Just be careful when using a name that someone already has the dot com version of. If it’s in active use, it will be confusing for readers, who are more likely to type in the dot com version of a domain name. You may also want to confirm whether your blog name is available as a username for your preferred social media sites, such as Pinterest, Instagram, or Twitter. Your marketing will be more effective if you can be consistent across as many platforms as possible. Don’t forget to consider how a blog name reads. There’s the infamous example of penisland.com… which is the domain name for Pen Island. You don’t want your blog to have that problem. Talk to friends and family about the names you’re most serious about. Get their opinions. Someone who isn’t emotionally attached to the project can sometimes see problems more clearly. A name you’ve fallen in love with might have a problem that someone else can see. Better to find that out before you register the name. You want to know how they would pronounce your domain name. Do they get any other words or meanings out of it, especially anything objectionable? You also want to know if they think people will be able to remember the name. This should help you avoid the problem of readers misinterpreting the kind of blog you’re running when they see the name. No guarantees, of course – it can be surprising what different people get from your blog name. When you’ve settled on your blog name, it’s time to get the domain registered. Most people register their domains wherever they’re hosting. It’s easier, but not a requirement. Namecheap is a popular choice for domain names. They’re very affordable. They also offer hosting, but you don’t have to get your hosting there. It is a good idea, however, to get your hosting taken care of as soon as you get your domain name. You should be about to get things moving with your new blog, after all. I host with A2 Hosting, not with the company I register my domains at. I like A2 better for hosting. Shop around not just on price for your hosting, but on quality. The cheapest host is rarely the best. A slow site won’t do as well with the search engines and will annoy visitors. Read reviews and make sure you’re getting high quality hosting before you sign up with anyone. While you’re at it, sign up for your first social media accounts for your blog. It’s usually more effective to have your blog’s social media separate from your personal social media. 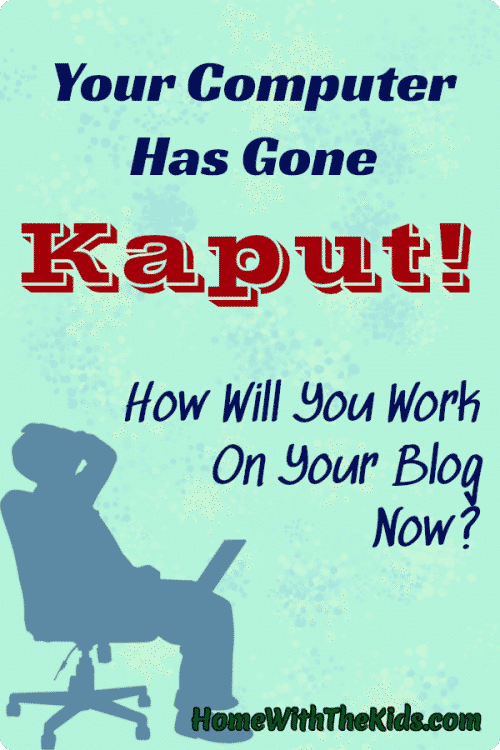 Once you have your blog named, registered and hosted, get moving on it. Write your first posts. You have things moving. Now is not the time for procrastination or fears. The sooner you really get started, the sooner you can build good blogging habits. In addition to writing your first posts, you should be creating images for them, and sharing your posts on social media. Don’t expect great things right off. It takes time. Experimentation is a part of writing great blog posts and making your blog something others want to read. Test different writing styles, images and so forth to figure out what it is that people want from your blog. Make time as you go to learn how to make a social media strategy. Figure out what works best for marketing your blog. There’s a big learning curve, and you’re just at the beginning.